Throughout 2017 our Open Bethlehem film continued to be screened in Europe and the Middle East. We had a special screening at Friends House in September, after which Leila left to tour the USA with a special push between October and Christmas. 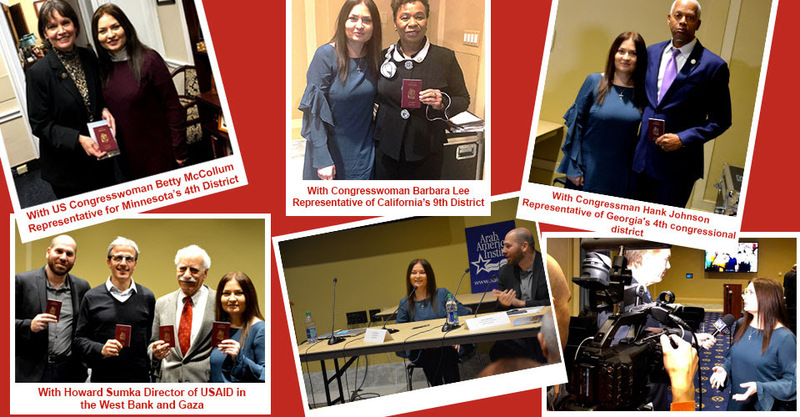 In mid-December, screenings were held on Capitol Hill and it was great honour for Leila to give the OB Passport to Congresswoman Barbara Lee – the only elected USA representative to vote against the Iraq invasion post 9/11 attacks, making her a hero of the anti-war movement. The screenings came as Trump declared the USA would recognise Jerusalem as Israel’s capital. There is now a plan to develop a Congressional visit to Bethlehem. 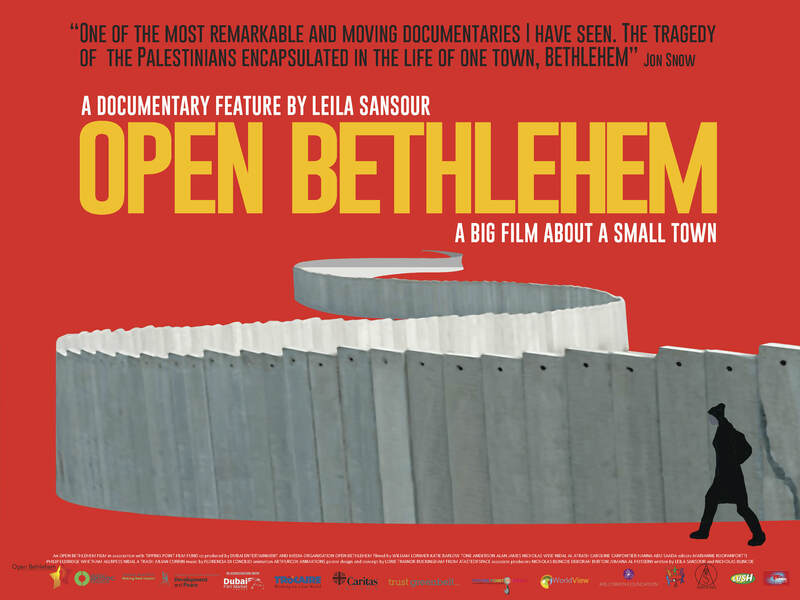 Open Bethlehem is now on Vimeo ​and the ​30 minute abridge​d​ version is here​. Open Bethlehem was completed autumn 2014; released Christmas 2014 and its North America release was in 2016/2017. TPFF was the main funding partner on the film 2010-15; through editing, post-production and outreach. Open Bethlehem reached around 35,000 people in cinemas and other venues across the country and launched with a VIP reception and screening for 600 decision-makers, media, academ­ics, at RGS, hosted by Melvyn Bragg. NGOs working on Palestine promoted the film and there was considerable public and media interest in the film, as it raised awareness on the plight of Bethlehem under occupation. Since its sell-out launch at the RGS in September 2014, Leila’s film has been screened in towns, capital cities and festivals across the UK, USA, Russia and the Middle East, including her home town, Bethlehem. Ultimately, it is the forging of a lasting peace agreement between Israel and Palestine that will eventually lead to the dismantling of the wall around Bethlehem, and the rest of Palestinian cities, and the preservation of Bethlehem’s heritage – both its living communities and their land. It would be impossible to save Bethlehem without granting Palestinians the right to self determination. It is equally impossible to envisage a pluralist Middle East, a major factor for the future of democracy and open society in the entire region, without saving model cities like Bethlehem. These ideas are at the heart of the OPEN BETHLEHEM campaign. No one has tried to tell the story of my town beyond the stereotypes of the Nativity or the brutality of military occupation. To read more about the survey http://www.christiannewswire.com/news/897171788.html. Here is Open Bethlehem’s briefing paper produced for last week’s UK parliamentary debate on settlements. Open Bethlehem met with MPs before the debate and is keen to work with all those who are campaigning for an immediate freeze on settlement building It will be a challenging task but it was encouraging to hear the resounding support for a Palestinian state in the British parliament and the condemnation of settlements by MPs from all sides.